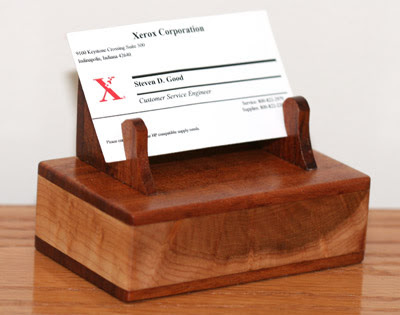 The Business Card Box and Stand. Free pattern download. 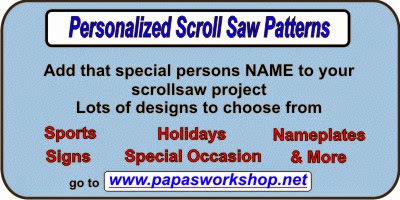 This free scroll saw pattern gives you options. You can build it with or without the stand. 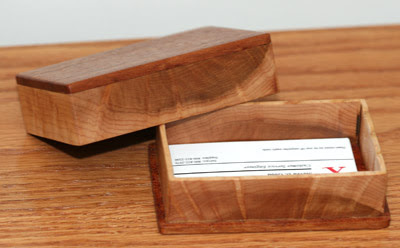 I have included three decorative tops to scroll and I have included letter templates for initials in the box top. Use contrasting woods for the top and sides to make this box stand out. Click the play button to listen to a brief audio instruction. 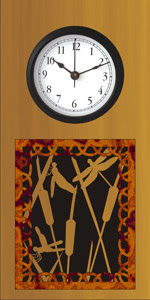 The Dancer Clock. Free pattern download. I think the young ladies in your life would like to have this sitting in their room. 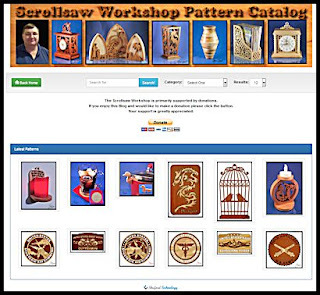 This free scroll saw clock pattern requires a 1 7/16 inch mini clock insert. Use a 1 3/8 inch forstner bit to cut the opening for the insert. 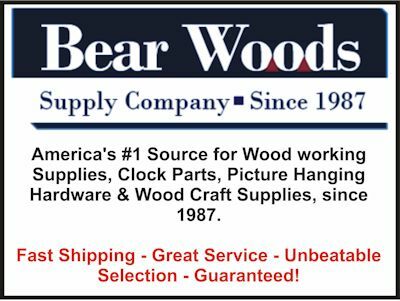 Click the link below you visit clockparts.com to buy the clock insert. 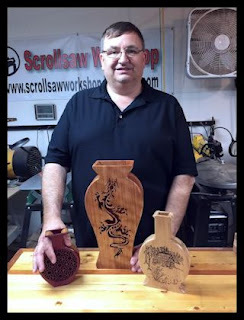 I just wanted to take a second and say thank you to everyone that has visited The Scrollsaw Workshop. The site is closing in on 14000 page views in a little over two months. I have over 100 subscribers and growing. I’m getting lots of nice emails. That’s cool. 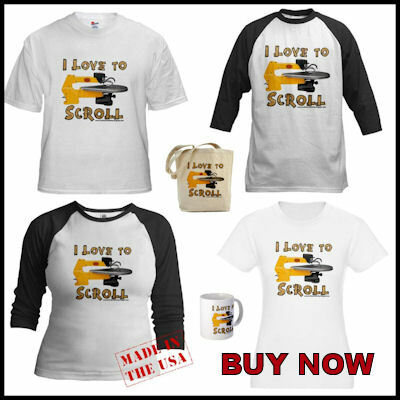 To those of you that have sent a donation or visited the advertisers on my site I am very grateful. The money definitely helps me work harder to make more free patterns and videos:) I might eventually try selling some pattern books to cover the cost of the site. I would rather just give them away. I’ll just see how it goes. Thank you all, I’m having a blast. Hope you are getting something you want also. 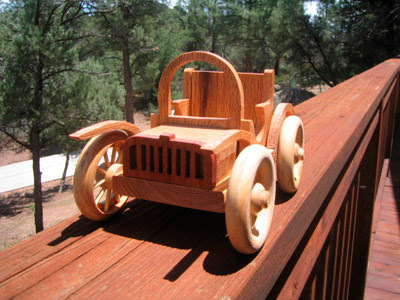 Old Car built by a reader form my pattern. 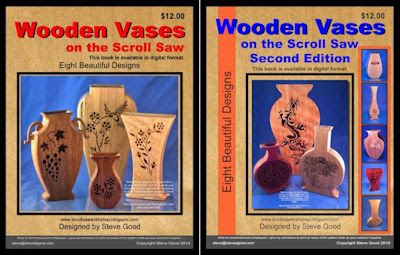 I spotted this posting over at Woodworking Friends. Kwikchik posted a picture of the Old Car scroll saw pattern from The Scrollsaw Workshop. I think she did a great job and the picture makes me smile. I like the after-market wheels. 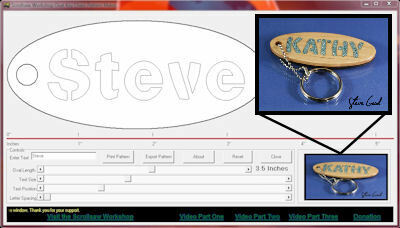 If you want to try your hand at this one check the archives for the free scroll saw pattern. 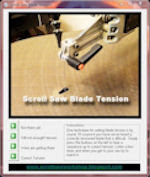 Check out Woodworking Friends. Nice people there they are. Bill, one of the readers of this site had a request from his mother. 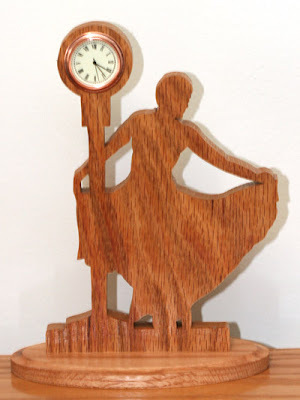 She loved the Tall Clock he had built from the free scroll saw pattern here at the Scrollsaw Workshop. She thought it would look nice with dragon flies. 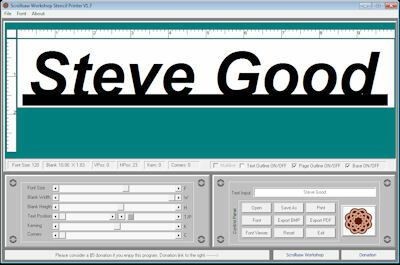 We have to take care of our mothers so I redesigned the front of the clock. This pdf only includes the updated front so if you need the whole pattern search in the archive for the Tall Clock posting. I also redesigned the front trim piece. I was not satisfied with the first one. I like this one better.